APRS 5th class Entrance Test Results 2019 (APREIS 5th Class Entrance Test Results), APRS 5th class admission test results 2019, AP Residential Schools V class entrance results 2019, APREIS Entrance test results 2019 - APRS.CGG.GOV.IN Results : Andhra Pradesh Educational Institutions Society(APRIES) issued APRS 5th Class Admission Test 2019 Notification and this entrance test for admissions into fifth class in Andhra Pradesh Residential Schools in the AP State for the academic year 2019-2020. గురుకుల ప్రవేశ పరీక్షకు 88 శాతం మంది హాజరు: ఏపీ గురుకుల విద్యాలయాల్లో మార్చి 9న‌ ఐదో తరగతి ప్రవేశాల కోసం రాష్ట్ర వ్యాప్తంగా నిర్వహించిన ప్రవేశ పరీక్షకు 88 శాతం మంది విద్యార్థులు హాజరైనట్లు సంస్థ కార్యదర్శి నాగభూషణశర్మ పేర్కొన్నారు. మొత్తం 23,086 మంది విద్యార్థులకుగాను 20,324 మంది హాజరయ్యారని చెప్పారు. The students who were appeared for APRS Admission Test 2019, they are waiting for their results. 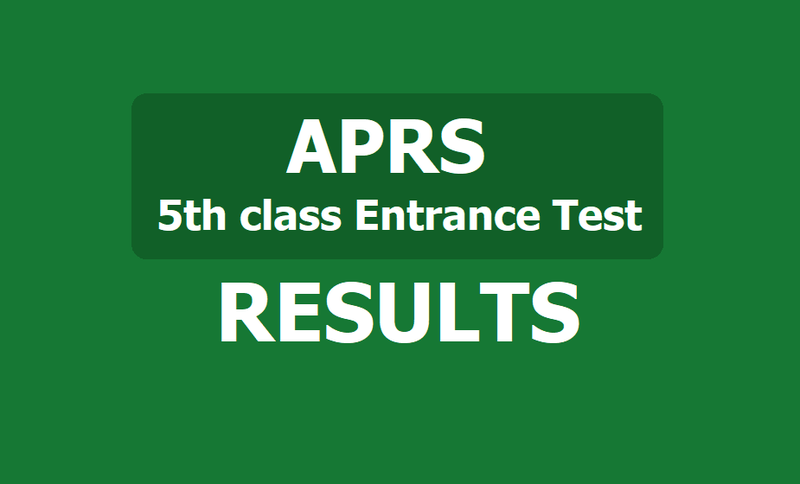 APREIS officials will release the entrance exam results in the first week of April, 2019 and the results will be available its web portals. Candidates can check their results given in the following link. Step 6: It has to be produced at the Counselling Center for verification.